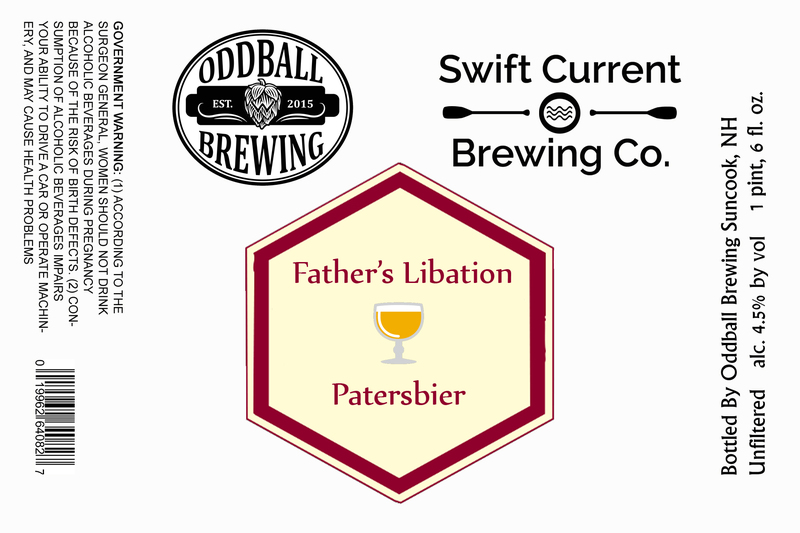 Father’s Libation – Swift Current Brewing Co. This “Father’s beer” is a collaboration we did with our friends at Oddball Brewing. This is a simple, light beer with lots of character. The Belgian yeast adds spiciness and clove, while the noble hops balance the pilsner malt. The result- a refreshing beer.